Once we’ve done the hard bit and banished the nasties from our bodies, we can start to be more conscious of what products we’re using on our skin – from the value of their properties to the repercussions of their manufacture. Here’s our pick of the 10 best free-from products, what they do and why we love them. Quinoa protein delivers weightless volume, shine and bounce to your hair, while avocado oil is rich in antioxidants that powerfully condition and reverse damage. This serum keeps styles in place without stickiness or weight. It can also be used as a leave-in conditioner, to give high shine, and has a refreshing and exotic, natural Ginger and citrus aroma. Naturally free-from: SLS, SLES, methylisothiazolinone (MI), methylchloroisothiazolinone (MCI), parabens, lanolin, phthalates, propylene glycol, alcohol (ethyl alcohol, ethanol), harsh foaming agents, irritating emulsifiers, synthetic fragrance, PABA-sunscreen, gluten, colourants, petrochemicals, urea, DEA, TEA or PEGs. Suitable for those who may be prone to eczema and psoriasis. PHB Mineral Foundation +SPF 30 gives long-lasting coverage whilst providing a natural-looking finish that allows skin to breathe. A unique blend of minerals provides adjustable sheer-to-full coverage to achieve a flawless complexion, with a light, silky texture. 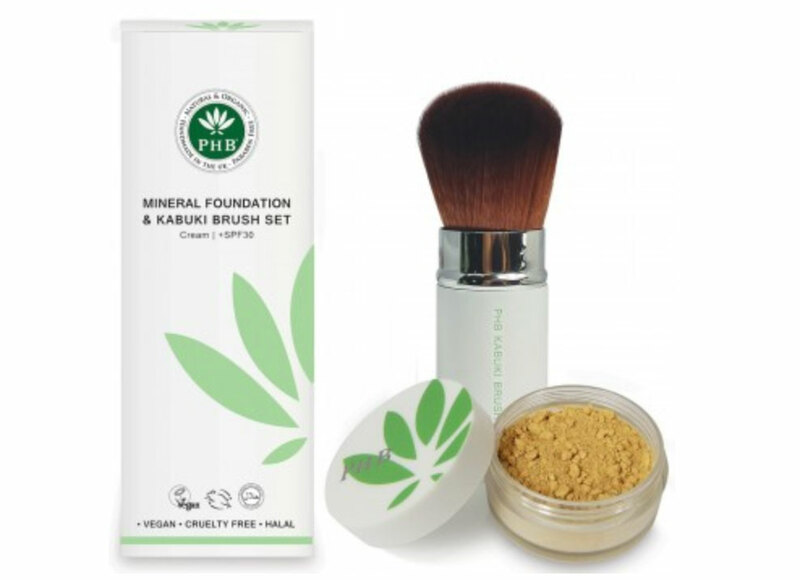 The Vegan Kabuki Brush lets you apply mineral foundation with professional-grade results. The extra dense and super soft bristles are gentle to skin and give fabulous coverage with minimal effort. Natural SPF 30, water resistant & oil-free, light reflecting properties that minimise blemishes and fine lines, 100% natural, Vegan, Cruelty-Free and Halal. Free from nano-particles, parabens, bismuth oxychloride, talc, formaldehyde, mineral oils, fillers, gluten, fragrance, preservatives and GM ingredients. Clears impurities and removes makeup gracefully. 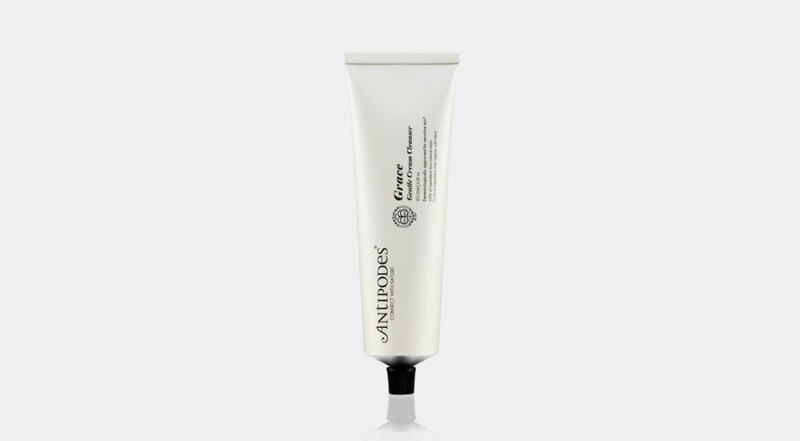 This blissfully soothing formulation features super-antioxidant Vinanza Oxifend. Nutrient-rich avocado oil and marigold bloom gently yet effectively cleanse, freshen and soften the visage. Certified organic by BioGro: 100% of ingredients from natural origin, 79.5% of ingredients from organic cultivation. Certified vegetarian by the UK Vegetarian Society, a globally respected organisation for the assessment of vegetarian status. Recyclable aluminium tube and 100% biodegradable cardboard from sustainable forests. Combining nourishing essential fatty acids with super antioxidants, lycopene and phytosterol, this certified organic beauty oil is deeply moisturising while helping to protect against environmental free radical damage. 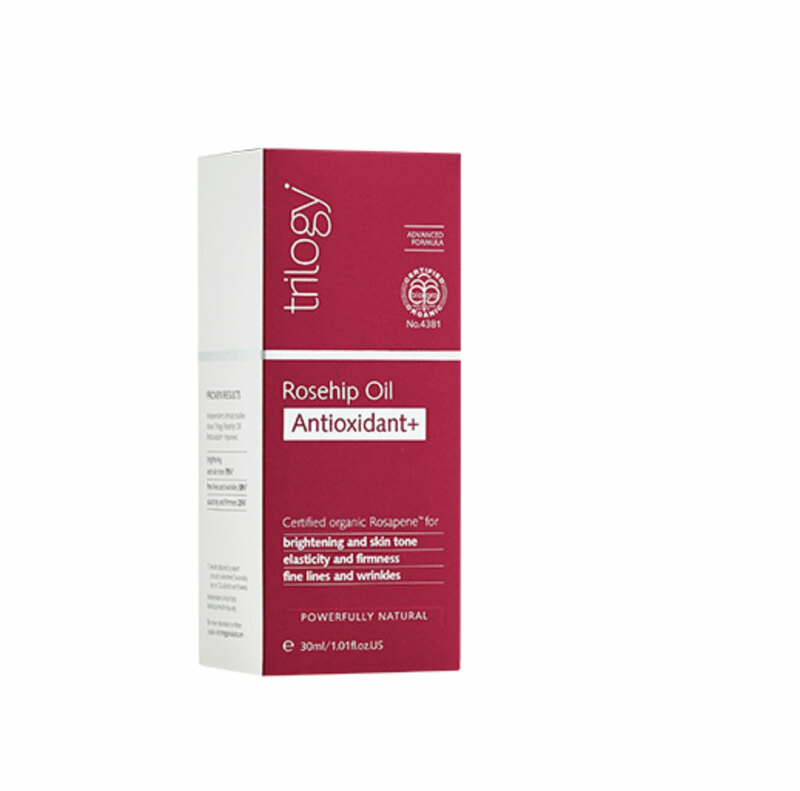 Rosehip Oil Antioxidant improves brightening, skin tone, fine lines and wrinkles, elasticity and firmness. Rosa Canina (Rosehip) seed oil is extracted from the seeds of organically grown reships, this oil is a superfood for the skin. The solvent-free extraction process guarantees a minimum of 80% essential fatty acid to help hydrate, repair and strengthen. This fragrance- free, light-as-silk lotion strengthens the most delicate skin while reducing clues to age. Laugh lines and wrinkles fade, skin regains luminosity and is protected every day from free radicals. With organically-grown pomegranate and golden millet to aid cell regeneration. Suitable for vegetarians. 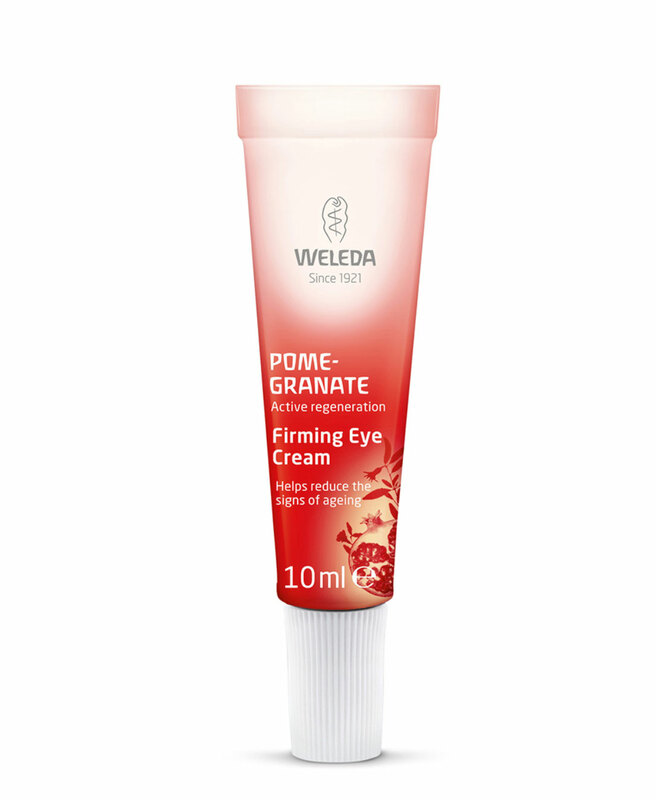 Rich in Pomegranate Seed Oil (Punica Granatum Seed Oil). The yellow to reddish coloured, relatively thick oil is rich in the rare punicic acid (an unsaturated fatty acid). It also has antioxidant properties that improve the regeneration of the skin. 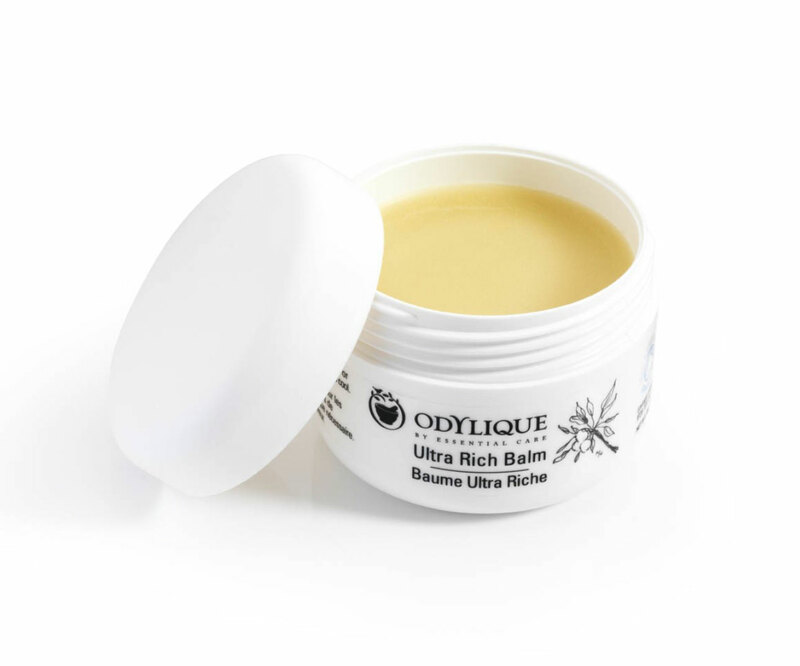 Providing intense hydration for very dry skin and skin prone to eczema, Ultra Rich Balm supports the skin’s natural barrier function and helps protect it from the drying effects of heat, cold and wind, without blocking pores. Rich in hydrating vitamin-rich raw shea, coconut & extra virgin olive oils, with cell-supporting sea buckthorn (rich in omega 7) and protecting beeswax. Suitable for Vegetarians, 100% natural, 100% organic, Soil Association certified, packaged in recyclable jars that were manufactured in the UK from 100% recycled materials. 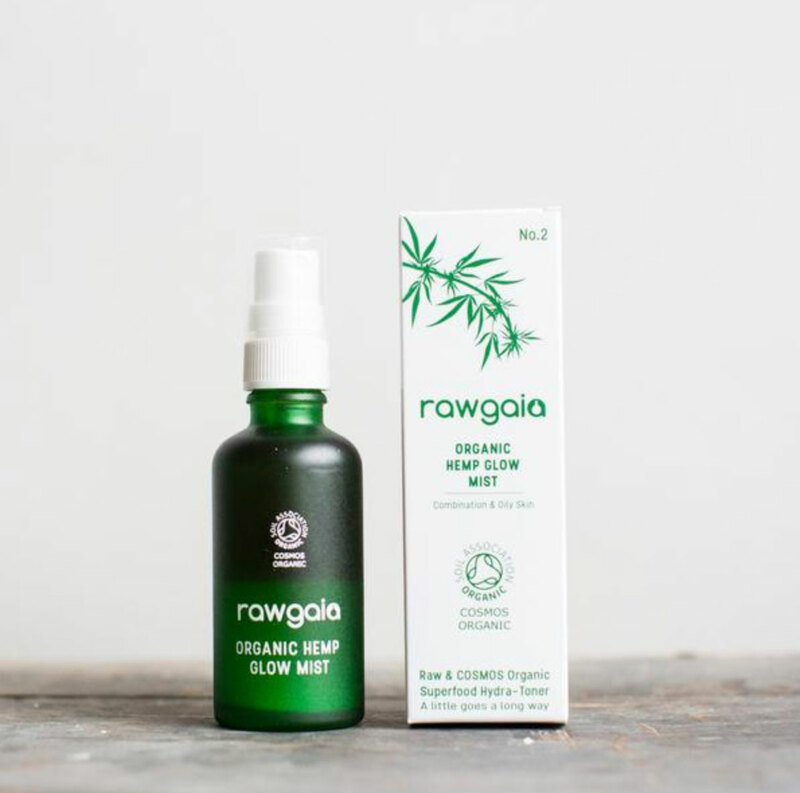 A fusion of Soil Association Cosmos Certified organic floral waters, cold pressed oils and essential oils. 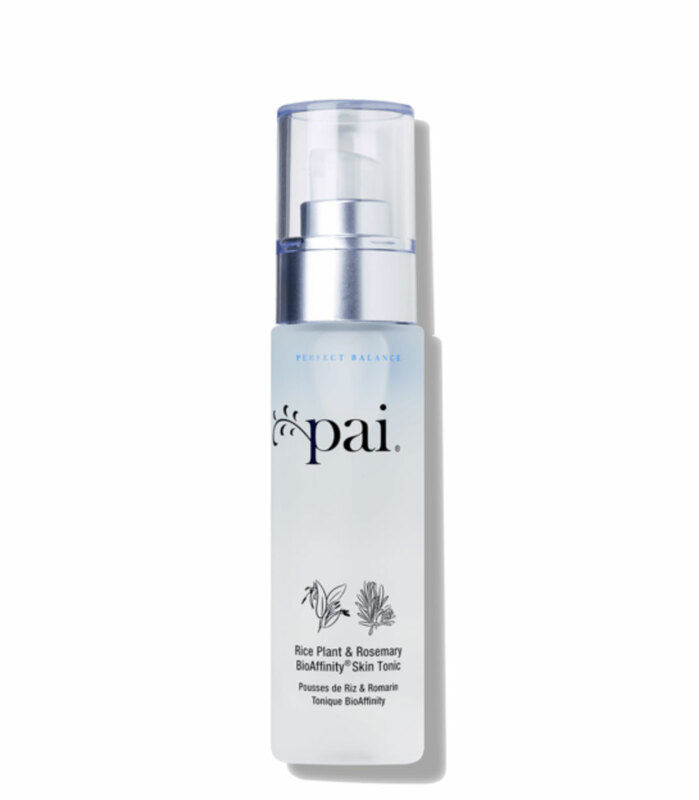 This unique hydra-toner helps to leave skin feeling fresh, hydrated and radiant. Contains organic: Juniper floral water, sage floral water, hemp seed oil, argan oil, essential oils of lemon, orange and eucalyptus. Certified by the Soil Association, Cruelty-Free International, and The Vegan Society. This light and fresh serum clearly enhances a burst of radiance, reduces pigment spots, smoothes and makes the complexion glow. The regeneration of skin is thanks to the sap from an Amazonian tree (Dragon’s Blood) that has been used for centuries by Amazon populations for its wound healing virtues. This sap is considered by the scientific community as the most powerful antioxidant in the world and It also helps your skin cells to regenerate faster. 99.1% of the total ingredients from natural origin, 16% of the total ingredients from organic farming. 15-month expiry date after its first use and suitable for Vegetarians & Vegans. Rich mineral content calms and rebalances combination skin, purifies pores and helps minimise blemishes. Exactly matched to the pH of healthy skin, made up of Rice plant Living Water. Extracted from the fresh shoots of the rice plant, this “living water” contains the skin-benefiting minerals calcium, sodium, magnesium, and potassium. 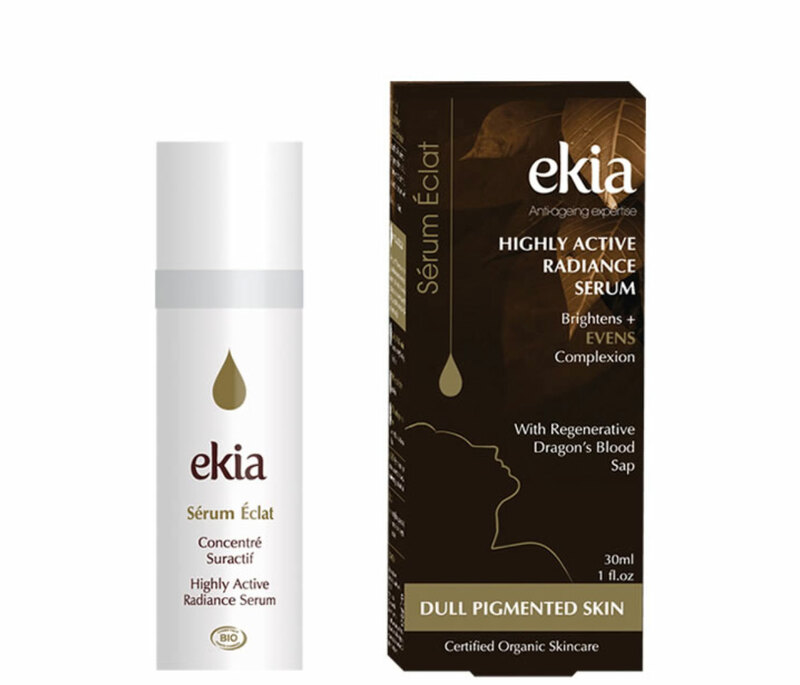 Its active antioxidants cool and rebalance skin, making it ideal for combination skin types. This body moisturiser is suitable for all types of skin. Regular use helps to prevent dryness while maintaining and protecting the skin’s natural barrier. 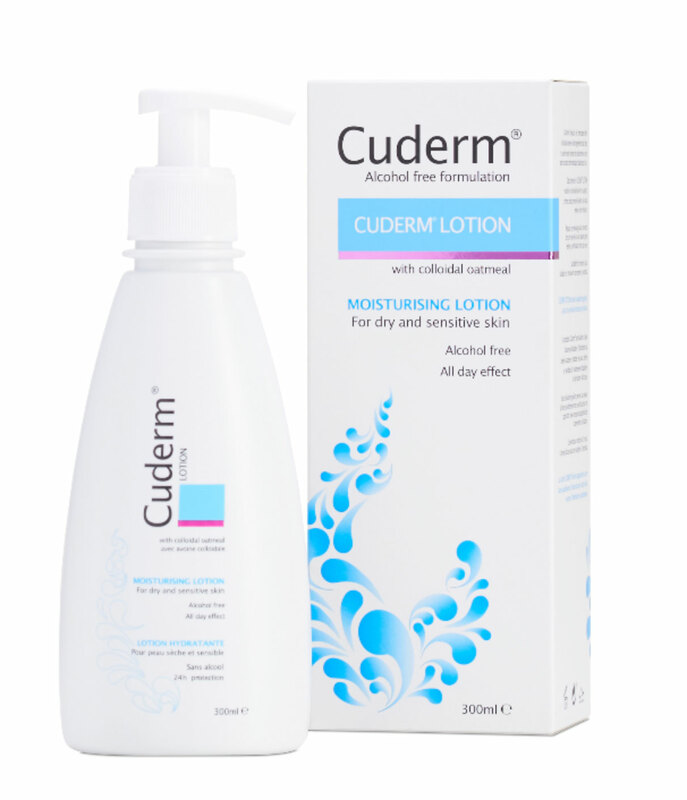 Cuderm Lotion has an easily absorbed, non-greasy formula that provides long-lasting hydration, preventing skin from becoming dry and sensitive. Oat proteins establish a natural barrier to support, regulate pH, protect and promote healthy skin. Hypoallergenic, fragrance and paraben free, suitable for Vegans and not tested on animals. This entry was posted on Monday, January 22nd, 2018 at 12:15 pm	and is filed under Blog News, Recovery Lifestyle. You can follow any responses to this entry through the RSS 2.0 feed. You can leave a response, or trackback from your own site.